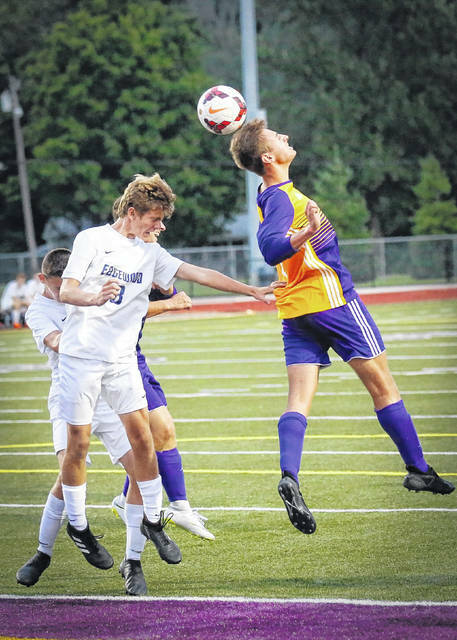 PREBLE COUNTY — The high school boys soccer season began earlier this week with each coach optimistic about the upcoming season. 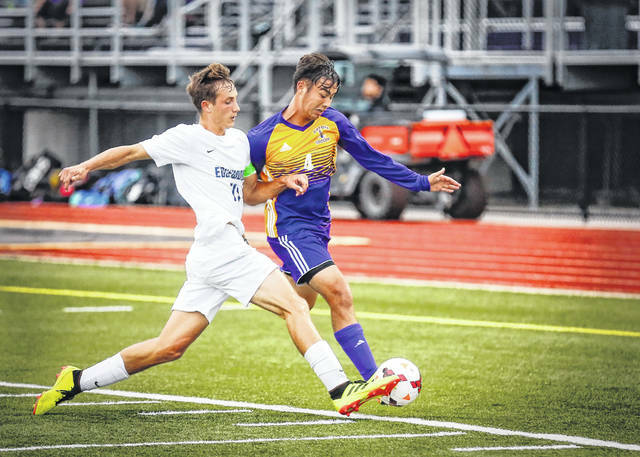 When Matt Money took over the boys’ soccer program four years ago it was at a point where the team wasn’t sure how to win. Now, according to Money, the team is confident and ready to challenge for a league title. The Eagles finished 9-6-2 overall last year and 6-4-2 in the Southwestern Buckeye League Southwestern Division. And the team has a majority of its players back. Eaton returns seven seniors who all started last season. In all, the team has nine seniors. James Howard will play up front and as an attacking midfielder. Chris Hudgel moves from goalie and will be an additional scoring threat, according to Money. John Altom will play midfield and goalie. “He plays well as a holding mid and distributes the ball well,” Money said. Owen Baumann will anchor the defense. Brayden Beachler is a two-year starter at center back. Tyler Earley will also be in the back on defense. Nathan Gard will play forward. The Eagles will be missing all-league performer Tucker Wilt, who is out with an injury. Sophomore Ethen Burrell will be in goal this year. Fellow sophomores Caleb Caplinger and Evan Tolliver will also be counted on. Despite having nine seniors and seven starters back, the Eagles suffer from lack of numbers in the overall program. The team has no juniors, 10 sophomores and there is only one freshman on the roster. Money said this year’s squad has been fun to coach thus far. 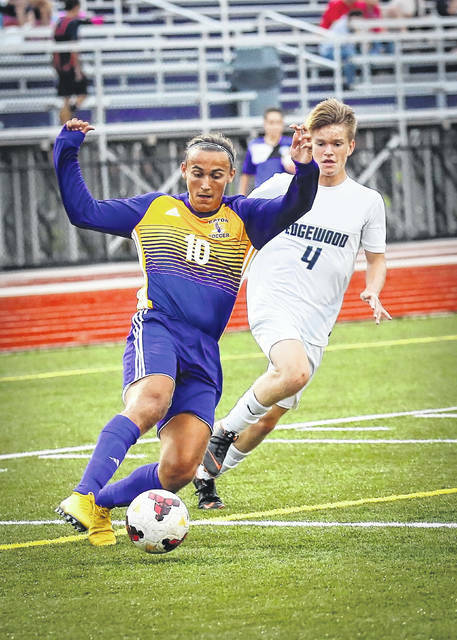 After not fielding a team in 2017, Tri-County North’s boys program returns to the pitch this season under first-year coach and former Panther Dylan Hemmerich. The Panthers will field a team with little or no varsity experience and will feature 10 freshmen on the roster. Hemmerich said he will be relying on Preston Lairson, Collin Whipp, Jarod Isaacs to lead the team. All three are seniors. Only five team field a team in the Cross County Conference. He noted the senior leadership will play a pivotal role this season. Twin Valley South will be looking to improve on its 7-7-3 record from last season. Center back Logan Cook is a 4-year varsity letterman. Outside midfielder Jake Byrne is a 3-year varsity letterman and most improved from the team last season. Center midfielder Brayden Marker scored nine goals during his freshman season. 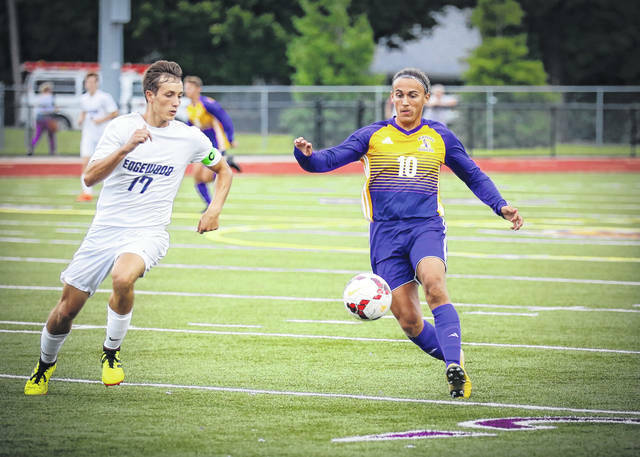 Outside midfielder Aaron Clark is a three-year letterman and has received varsity time since his freshman season. Outside midfielder Christopher Keener also returns. Other key players returning include sweeper Aidan London and center defensive midfielder Logan Davis. William Jerdon (goalie) is one of the new additions to the team who expected to make an impact.